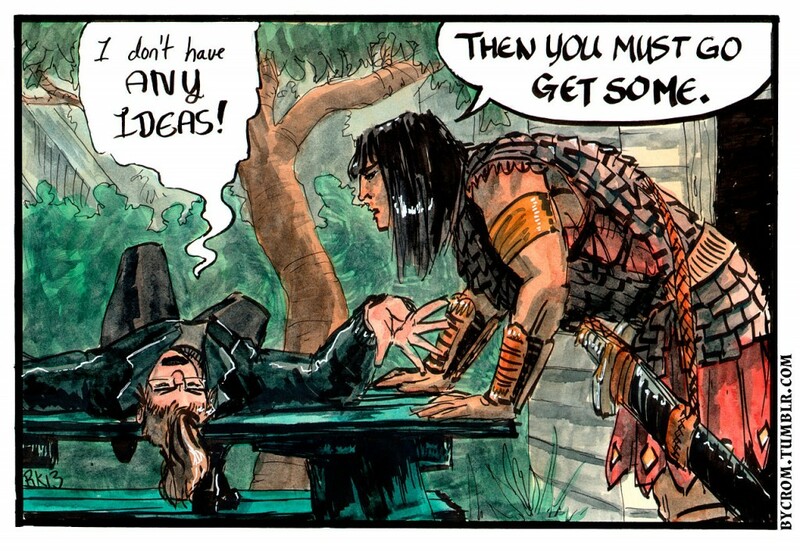 By Crom! 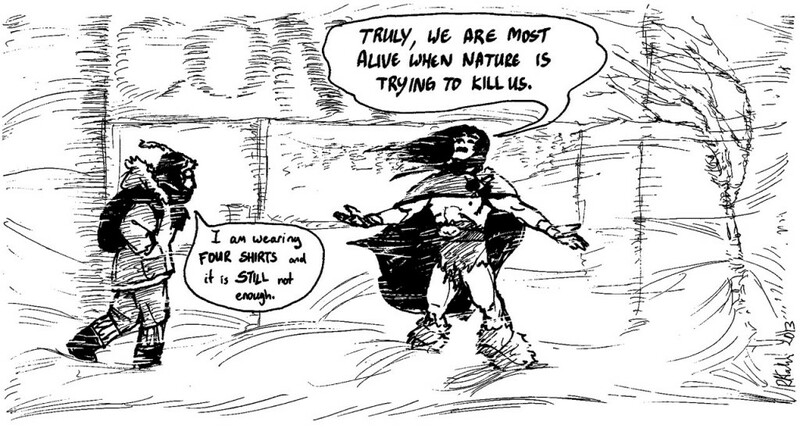 is an autobiographical comic by Shel Kahn, featuring life advice from her favourite fictional Barbarian. By Crom! had a very successful kickstarter to fund a new print book, you can see the campaign here! The book is now available for order in her online store, and you can grab yourself a copy right here! 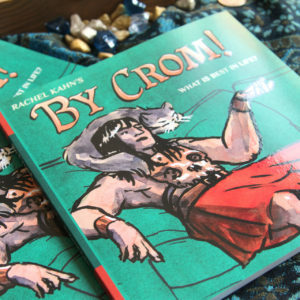 If you would like an ebook of By Crom!, you can get a pdf from Gumroad here; – and you can read By Crom! 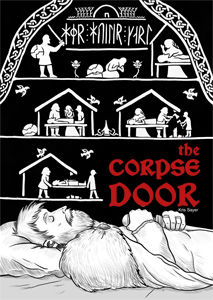 on ComiXology here. Growing out of a love of swords, sorcery and sandaled barbarians as well as a lifelong struggle with anxiety and depression, By Crom! 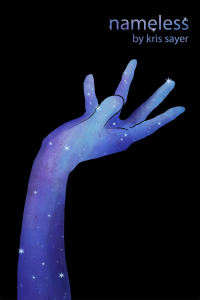 is a tribute not just to Robert E. Howard’s hero, but to everyone who could use a brave, practical and stoic inner voice to guide them through life’s rough spots. 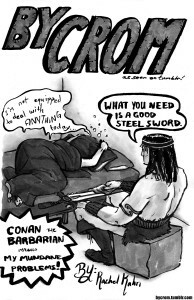 In By Crom!, the barbarian adviser comes along for dog walks, doctor’s visits, school days and self-pity days, armed with his sword and his anachronistic perspective on modern life and modern problems. By Crom! is a joke-a-panel webcomic, and it was published approximately weekly on Tuesdays from January, 2012 until May 2014. It began its life on bycrom.tumblr.com. 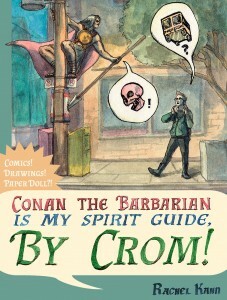 By Crom! was initially printed in two small-run volumes, both of which are now sold out in print. You can buy the new all-in-one volume from Shel Kahn in her store. 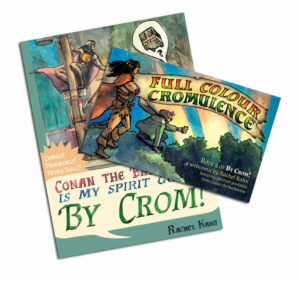 The Collected By Crom! is out of print. 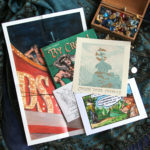 It presented all the black and white comics, as well as a paper doll, five behind the scenes pinups, two fan pinups (by cartoonists Kat Verhoeven and Adam Gorham), an eight-page longform comic and an eloquent foreword by Diana Poulsen, it’s got a lot of barbarian-themed advice. It was printed in July 2013, in Ontario, Canada, and reprinted in April 2014 in Quebec, Canada. 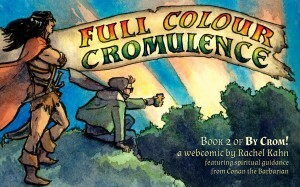 Full Colour Cromulence is also out of print. It presented all the colour comics, nine comics featuring guest spirit guides from Gillian Blekkenhorst, Trevor Henderson, Matt Rapati, Kris Sayer, Jen Schollen, Matt Smith, Kat Verhoeven, Mary Verhoeven, and Jenn Woodall; another paper doll, and an eloquent foreword by the talented Natalie Walschots. It was printed in April 2014, in Quebec, Canada. Besides books, you can purchase risograph prints, posters and more from Shel Kahn’s online store. Reception for By Crom! has been really positive. By Crom! was nominated for the REH Foundation Black River Award! 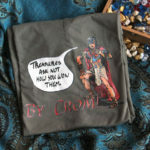 You can hear the By Crom! origin story (and much more nerdiness) on the Guys with Pencils podcast, episode 118. 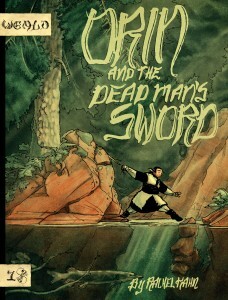 If you would like to review By Crom!, please just drop me an email! I would be delighted to send you a pdf and answer any questions.